College graduation is a bittersweet moment in the life of a young adult. The excitement of embarking on a new adventure as a working professional is tempered by the sadness of parting ways with friends and, faculty, and staff who won’t soon be forgotten. 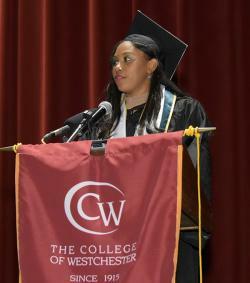 But for Naika Saint Preux, her college degree has only one flavor, the good flavor of victory, “CW treated me like family since the first visit and they never stopped believing in me. 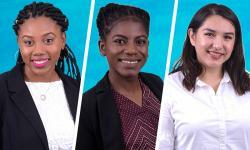 CW Students Amy Castillo, Naika Saint Preux, and Desiree Scretching were selected to participate in the i3 Scholar Undergraduate Research Program at the University of Pittsburgh, School of Information Sciences. The undergraduate program, supported in part by the Andrew W.
Congratulations to our Winter 2018 Students of the Semester, Joseph Gonzalez and Abraham Lamboy! 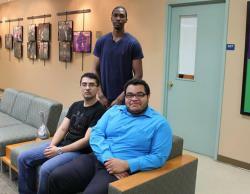 CW Students Joseph Gonzalez, Garwayne McGregor, and David Rivas recently participated at Clemson Institute for the Study of Capitalism in South Carolina to learn about what capitalism and morality are, and how to effectively fight for them. It’s the Start of Spring at CW! Today we welcomed our new students with orientation! Day College Students were greeted by Dr. Warren Rosenberg, Provost and Vice President of Academic Affairs, “while some of you may be nervous, may be questioning your ability to do this, I know that none of you consider yourselves to be quitters, failures or losers. 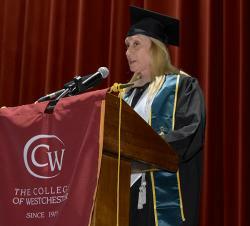 So let’s commit to each other that you want to successfully complete your studies here and earn your CW degree.